When a manufacturer is reputable, it shows. Grund America's Savannah collection may be more expensive than your average sheet set, but the quality is indisputable. Coupled with a rock solid 30-day return policy and a limited warranty, it's worth the money if you really are looking for luxury. What Is the Grund America Savannah Sheet Set Made From? How Does the Grund America Savannah Sheet Set Perform? 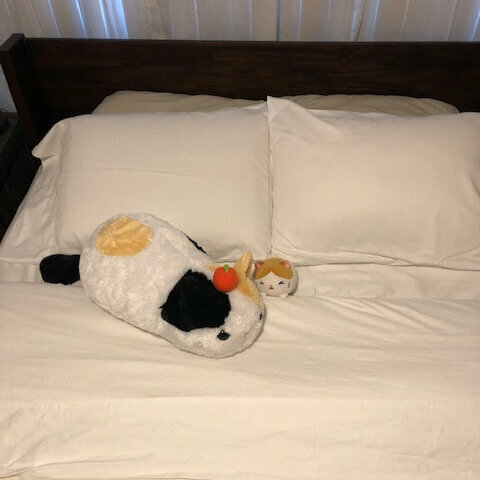 How Do You Wash the Grund America Savannah Sheet Set? How Much Does the Grund America Savannah Sheet Set Cost? Though founded in North Carolina in 2014, Grund America nevertheless traces its roots much further back. It is the North American division of Czech home textile company Grund. Originally family-owned and founded in 1990, the brand has always been all about providing organic bedding and bathroom accessory options to consumers. Currently, Grund is a force to be reckoned with in the European market. And apart from the US, it exports products to over 40 other countries. The Grund America Savannah sheet set—better known as the Savannah Sheet Collection—was launched in Chicago, at the 2018 International Home + Housewares Show. This review is extra special, because we did actually try out these sheets! You’ll see photos and observations of Good Night’s Rest team member Tephy throughout this piece, as well as a verdict below. As a relatively new product, how does the day to day performance of the Grund America Savannah sheets measure up to its impressive manufacturing and construction details? Let’s find out together. The fabric used is 100% GOTS certified organic cotton with a 300 thread count sateen weave. The high quality sheet set is available in five standard US sizes: twin, full, queen, king, and California king. It comes in four neutral earth tones: ivory, driftwood, slate grey and white. 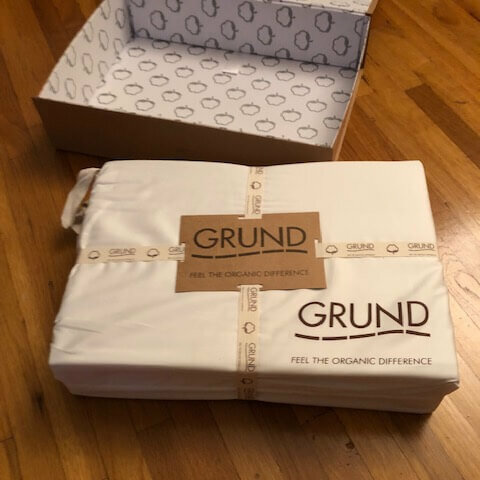 As an added bonus, other Grund America products—from bath rugs to throw blankets—are available in complementary color-coordinated organic fabrics. Makes it that much easier to achieve that luxurious hotel-like look and feel in your own home. What Is the Difference Between Conventional Cotton and Organic Cotton? Conventional cotton is considered one of the dirtiest crops. Although it is cheap, it is bombarded with pesticides and other harmful chemicals throughout the growing, processing and finishing segments of its production. 100% organic cotton is more expensive, but is more sustainable and gentler on the skin. 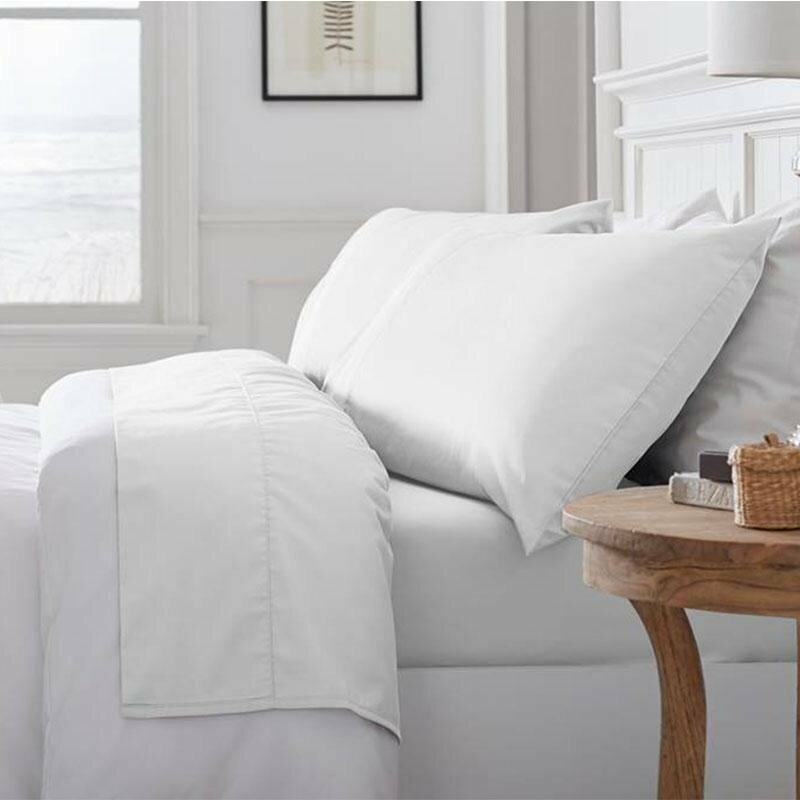 In particular, Grund America asserts that the organic cotton they use for their Savannah sheet set is as close to pure as they can get it: Chemical-free with no bleach, toxic dyes, or formaldehyde used. How Is 300 Thread Count Fabric Considered Luxurious? Contrary to popular belief, higher thread count isn’t always better. The ideal is actually a thread count somewhere between 200 to 400. That Grund America did not attempt to inflate the thread count of their Savannah sheet set is a true mark of a reputable manufacturer. Instead, they allow the “resort quality”—their words, not ours—fabric to do all the work of convincing consumers of the quality and luxury the product offers. What’s Included in the Grund America Savannah Sheet Set? Each sheet set includes one flat sheet, one fitted sheet with elastic going completely around the edges, and two pillowcases. Fitted sheets are come in different depths depending on the mattress size. 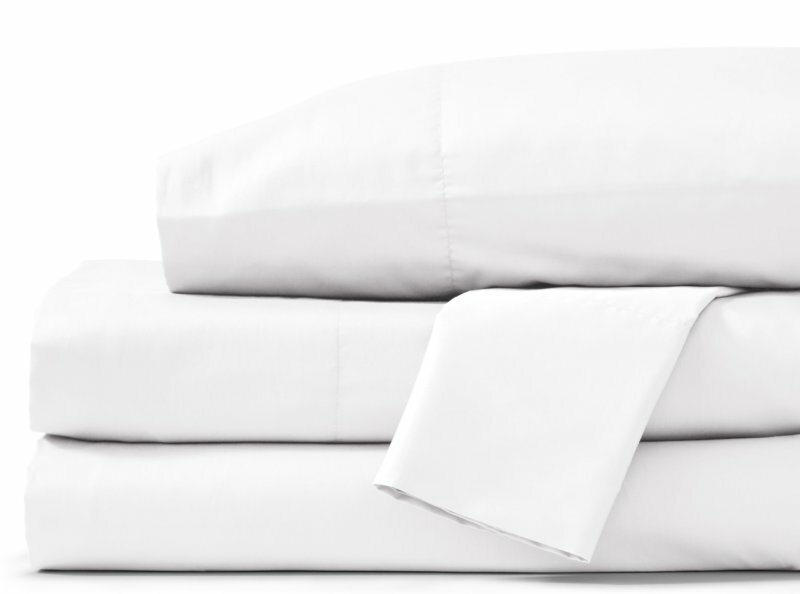 Twin and full sheet sets have a 15-inch pocket. Queen, king and California king have a 17-inch pocket. As a relatively new product, there’s not many consumer anecdote out there. However, the TrustPilot reviews of Grund America’s products display a high average score—currently 9.3 out of 10. We’ll talk about the performance of the sheet set at length later on in our Team Verdict section. 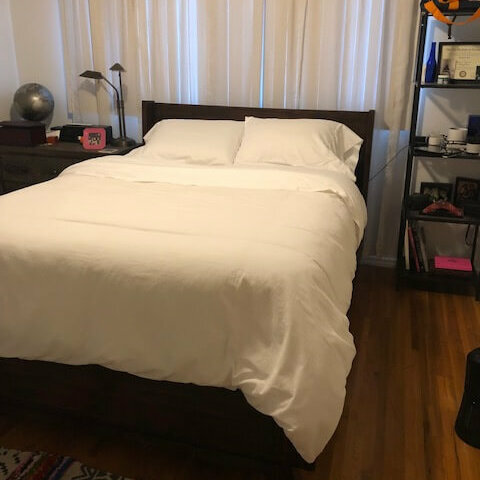 Suffice to say that most of what we will highlight are positive aspects, as Tephy had a positive experience using Grund America’s Savannah sheet set. Is the Grund America Savannah Sheet Set Hypoallergenic? 100% organic cotton that is not chemically treated is for all intents and purposes allergen resistant. The breathable nature of the fabric also makes it much less likely to be a target for mold or mildew growth. It will also be easy to to manage bedtime if you sleep hot. Does the Grund America Savannah Sheet Set Smell? This is probably due to very specific and stringent quality control and safe practices. While “no smell” doesn’t always mean “no off-gassing“, it’s probably safe to say that Grund America has it covered just the same. The brand maintains the various certifications Grund America proudly enumerates: GOTS, Green Business Certified, OEKO-TEX Standard. The care instructions are very simple: On a gentle cycle separate from the rest of your laundry, machine wash cold. Unlike other sheet sets, you may use non-chlorine bleach. Finish by tumble drying on low. Note that dryer sheets and fabric softeners are not recommended. 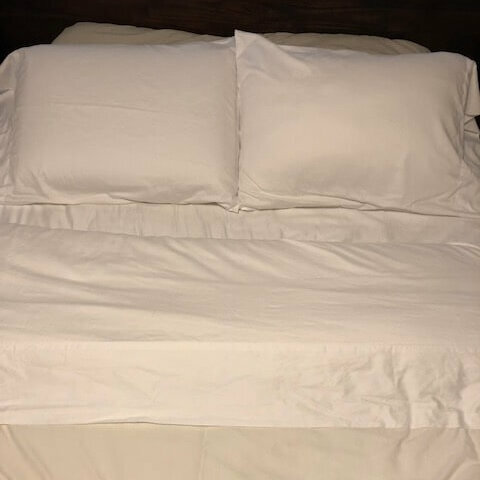 As of this writing, one queen size Grund America Savannah Sheet Set is available at the online store of the brand’s official website for $179.99. Unlike other brands, the price is the same no matter which color you pick. As we mentioned above, the sheet sets are available in ivory, driftwood, slate grey and white. As of this writing, only white is available in all offered sized. The other three colors are only available in king and queen. Does Grund America Offer a Trial Period, Return Policy or Warranty? There is a limited warranty and a provision for returns and exchanges, although there are many caveats—especially when it comes to care instructions. Grund America may also insist on warranty evaluation. The warranty is good for five years, but only for normal wear and tear from indoor residential use. Like many limited warranties, it is meant to cover only material and manufacturing defects. Returns and exchanges are possible only for incorrect shipments and defective products. The policy gives you 30 days to initiate a return by emailing Grund America’s customer service team and providing your original receipt. Customer service is excellent. It is the one thing that is universally praised in all customer feedback we found. Find Grund America Savannah Sheets Deals Now! “By far the best quality sheets I’ve had as an adult! The packaging gave it a special touch and made purchasing bed sheets a new experience. I always struggled with having the fitted bed sheet not deep enough for my memory foam mattress but this one was just perfect. The flat sheet itself was actually quite large for a queen. However, I’d rather have it too big than too small. When a manufacturer is reputable, it shows. Grund America’s Savannah collection may be more expensive than your average sheet set, but the quality is indisputable. Coupled with a rock solid 30-day return policy and a limited warranty, it’s worth the money if you really are looking for luxury. We get that this isn’t a sheet set for a starter mattress sitting in someone’s college dorm room. But for what it is, it’s a pretty good deal. It’s not Egyptian cotton, but it is 100% organic cotton just the same. It’s not a crazy thread count, but that’s a good thing! And it may not be available in many colors, but the four hues Grund America chose go with almost everything. This is a sheet set you get to treat yourself, or to level up your otherwise spartan bedroom. Just luxurious enough to feel the change, but not so over the top expensive that the price tag outshines the quality of the product. Thoroughly recommended.